The application process is completed online through the UA Graduate School’s Electronic Application Center. You can start an application immediately, even if you don’t yet have all the required materials, and complete it as you go. We urge you to apply as soon as possible! Early applicants have the highest chances of admission. If you have any trouble with the application process, do reach out to us! Statement of purpose: Talk about any previous research experience, your scientific interests, and goals for graduate education. Explain any portions of your experience that you think should be brought to our attention, or that enhances your profile as an applicant. Mention the names of 2-3 faculty members in our department whose research interests you. This should be no longer than two pages. Submit this in PDF format if possible. Resume/CV. Check out our graduate FAQ to learn more about what to include in your resume or CV. Submit this in PDF format if possible. Contact information for three references who have agreed to provide a letter of reference on your behalf. Your letter writers will be contacted directly with instructions to upload their letters. UNOFFICIAL transcripts from any undergraduate and graduate institution at which you completed at least 15 credits of work. These can be unofficial copies released to you or downloaded from your school’s website. You may also submit scans as PDF. Official GRE scores: Ask the testing agency to submit your GRE scores directly to our Graduate School (GRE and TOEFL code: 1830). Your score will be automatically associated to the rest of your application materials. For international students: Official English proficiency scores are required (e.g. TOEFL, IELTS). Ask the testing agency to send us your scores electronically. We practice rolling admission until we fill the available slots for the next incoming class, so there is no official application deadline. Most students will enter our program in the Fall semester (starting in mid-August each year). We encourage you to submit applications as early as possible, and preferably by the end of December / early January for admission in the following fall semester. Early applicants have several advantages. First of all, as an early applicant you will compete for available slots in a smaller pool, so you stand a higher chance of receiving an early offer of admission. Furthermore, you can be considered for more internal fellowship opportunities. That notwithstanding, we still encourage you to apply even after those dates. Later applications will still be considered for admission and support as long as positions are available. Students may also apply to be admitted in the spring or summer terms. Start times for those terms are early January and early July, respectively. However, there are far fewer positions available for those terms (typically 2-3) compared to the regular fall start time. Nevertheless, feel free to apply for Spring: in most cases your application can be moved to the next Fall semester at no cost to you, if you are still interested. Students wishing to begin in the Spring term (i.e. in January) should submit applications in the previous September – October months . The Summer entry term is somewhat different, and mostly considered an “early Fall start”. If you are interested in summer admission, we suggest that you apply to the Fall term, and contact the Director of Graduate Studies to mention your interest in being considered for an early start. Decisions will be made on a case-by-case basis and will depend on Departmental needs and resources. In any case, please contact our Graduate School if you wish to change your application term. Admission to our Ph.D. program typically includes five years of financial support, initially provided in the form of a graduate teaching assistantship, a full tuition scholarship, and health insurance coverage as appropriate; later in the program your research advisor may be able to provide you a research assistantship, or you may be awarded an internal or external fellowship. In any case, a determination on financial support will be made at the time an offer is extended. 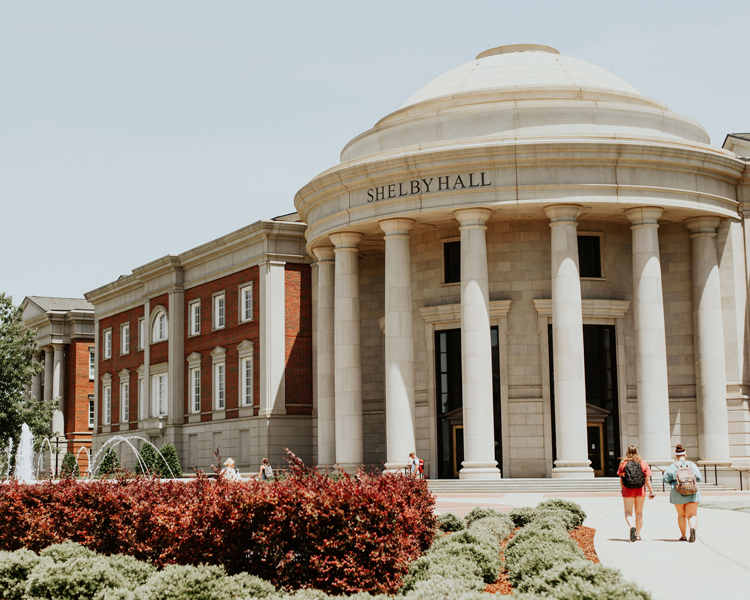 Students admitted to the MS program are typically not offered financial support (the fee structure for graduate studies at UA, including our MS program, is available here). You can apply for internal and external support, and you would also be eligible to be considered for graduate teaching assistantships once you are enrolled in our program, but their availability to MS students changes semester to semester, and a determination would only be made after you have spent at least a semester in our program. For more information about funding opportunities, visit our Financial Support page. Starting in January of each year, this department’s Graduate Recruiting Committee will select outstanding applications to be submitted for consideration for several University-wide graduate fellowships. Only completed applications can be considered. It is therefore in your best interest to complete all parts of your application by early January in order to be considered for these opportunities. In order to be considered for the graduate program, you must be near completion or have completed at least a Bachelor of Science degree in chemistry or a closely related field. Students generally must have earned a B average (3.0 out of 4.0 or equivalent) during their undergraduate and prior graduate work to gain regular admittance. Transcripts from international students that earned a three-year BS degree will be evaluated internally for equivalence to a US four-year BS degree. In most cases, students in these situations may be best served by earning an MS degree prior to entering the Ph.D. program. Applicants must also take the GRE exam. A total combined score of 300 on the Verbal and Quantitative portions of the GRE is required for regular admittance. The Analytical Writing score is considered as well when making admission decisions, but no minimum value is required. In special cases, students who meet the minimum required GPA or GRE score, but not both, may be admitted conditionally under a “Permission to Continue” clause (PTC). In that case, a condition will be imposed on the admission, typically requiring to maintain a 3.0 GPA or better in the first 12 credit of graduate work at UA. International students will also generally be requested to provide a certification of English language proficiency (e.g. TOEFL, IELTS, PT). Questions about the application process may be directed to one of our graduate program representatives.